Scibi is one of the top polish young house music producers, especially focussing on classic house with club grooves, mixed with a bit of electro. To date, Scibi has remixed some of house musics finest including Karol XVII & MB Valence, Distant People, Yves Murasca, Divided Souls, Jeff Daniels and Fresh 27. He has had many of his own productions signed to record labels including Loco Records, PhattSounds, SoulHeat, Coffee Bar Music and Loopfreaks. Loui started his DJ career in Fort 47 club in Leszno, Poland. He always been into popularizing house music, especially as subgenres as funky, deep and soulful house. 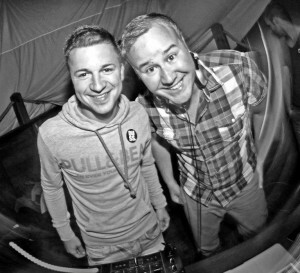 He’s also the member of FTB DJ Team – the biggest polish portal about club music. He’s been playing in many clubs and events such as. Sensation White, Sunrise Festival, Stadium of Sound or Tunnel Electrocity. Since 2007 he’s resident of X-Demon exclusive club in Leszno, Poland.